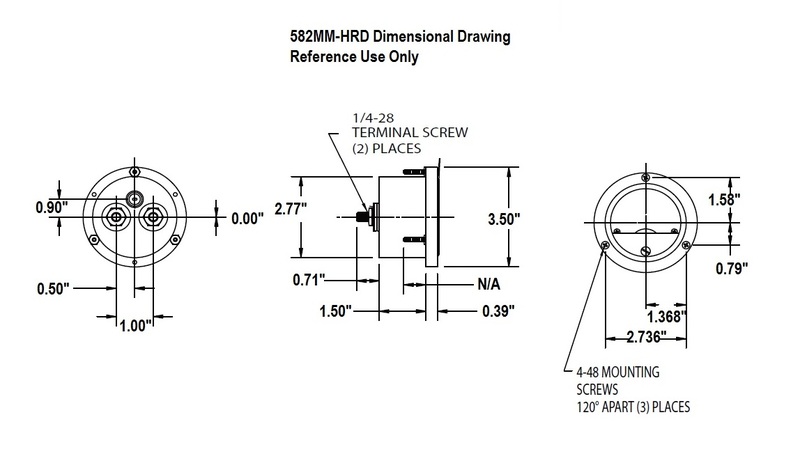 The 582MM-HRD Rugged LCD Digital Hour Meter is designed for extreme duty applications where a high degree of resistance to the environment is required. Solid state electronic drive circuitry provides long life with no motor and less moving parts. 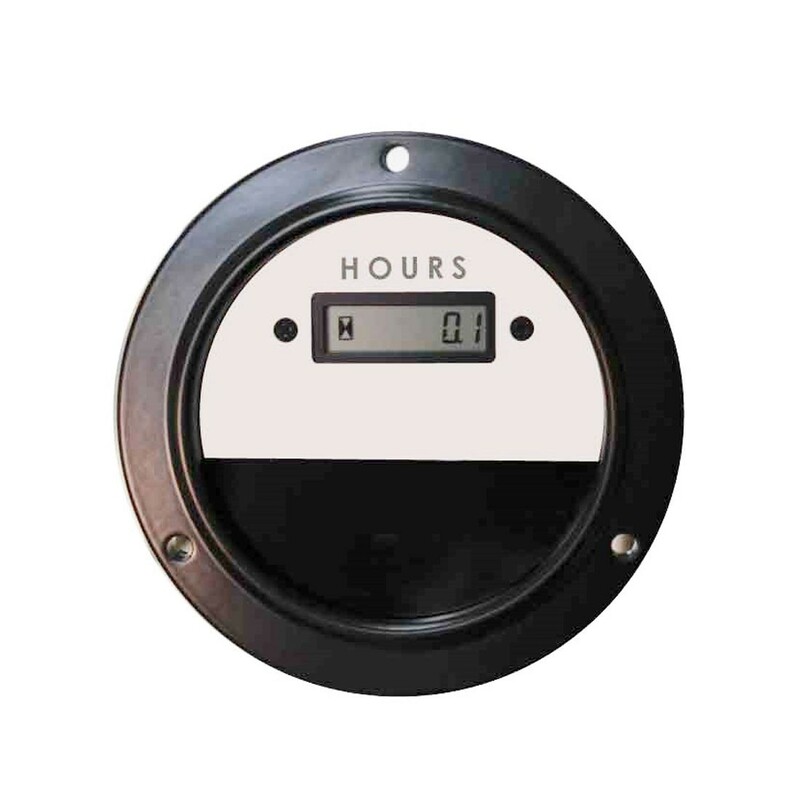 3.5" Round Digital Hour Meter. Dustproof and waterproof that meet NEMA 4 standards. Can run on 48-150VDC or 100-230VAC, which powers up the 100,000 hour numeric display (no-reset or backlight). Made in the USA using the proven 582MM metal case with gasket. Display: 5mm digits, black monochrome LCD, 0-100,000 hours (non-setable). Operating Temperature: -25°F to 185°F (-32°C to 80°C). Case: Brass Case (Gasket sealed).